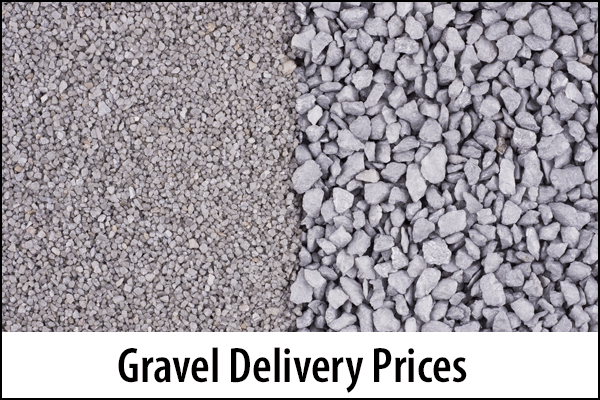 2019 Average Gravel Delivery Prices: How Much Does Crushed Rock Delivery Cost Near Me? Minus crushed rock costs $12-$35 per cubic yard while clean crushed rock costs $30-$50 per cubic yard. Delivery and spreading will double those prices. However, the more material you order, the less the total cost. Crushed rock is a very strong and durable material, and it offers great traction. It is available for delivery by the cubic yard, typically by landscaping supply companies that also sell products such as mulch, sand and soil. There are two basic types of crushed rocks: minus and clean. Both are available in a variety of sizes and colors, but they are used differently. Clean crushed rock does not have the smaller pieces of rock, dirt and/or sand. If it is advertised as 1/4 inch, all pieces are that size. Because clean crushed rock does not pack down tightly, it is not ideal as a base. But it is great for new driveways or those with drainage problems. It also works well for decorative pathways, walkways, plant beds and flower beds. If you’re unsure of which type to buy, ask a professional, particularly if you have problems such as excessive erosion, improper drainage or muddy conditions. Crushed rock is typically sold by the cubic yard (27 square feet). Before you place an order, you’ll have to determine the square footage of the area you need to cover and how deep you want the rock to be. As a guideline, one cubic yard covers about 324 square feet, one inch deep. Similarly, it covers 162 square feet, 2 inches deep. The price of crushed rock depends on the type and size you select, and the amount. It is also heavily influenced by your geographic location. Prices in big cities are easily double what they are in many rural areas. Minus crushed rock is less expensive, ranging from about $12-$35 per cubic yard, not including delivery or spreading. Clean crushed rock usually ranges in price from $30-$50 per cubic yard, also not including delivery or spreading. Delivery and spreading charges vary, too, but in many cases they will double the price. The more you order, however, the less per cubic yard delivery charges will be. Need Rock Delivery Near You?